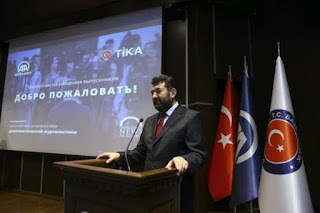 Turkish International Cooperation and Development Agency (TIKA) organized four-week training course in Ankara to improved journalists work while reporting which starts on Monday in collaboration with the Turkish Radio and Television Corporation (TRT). TIKA organized training course for Kenya journalists. The training consists of Twelve journalists which involves Four Kenyan journalists and eight from other countries across the world receiving journalist training course in video, audio and photo production and editing. The course mainly focusing on media information that explores all forms of media from digital communications to film and print. A female Kenyan journalist, Hubah Ovah Abdi gave her side of story to Anadolu Agency how hard it was for her to secure an opportunity to become journalist from a sub-Sharan Africa country. “I have always been positive and believe that every day is full learning process mostly for a journalist, and this is a one in million chance for me being a Kenyan journalist,” she said. The journalists will also have a chance to visit Turkish museums and share cultures with Turks and journalist from across the world.